In 1882, Guglielmo Oberdan was executed after a failed attempt to assassinate Austrian Emperor Francis Joseph. He became a martyr of the Italian unification movement. Thirty years later, silent film star Alberto Collo played him in Guglielmo Oberdan, il martire di Trieste/Guglielmo Oberdan, the martyr of Trieste (Emilio Ghione, 1915), produced by Tiber Films during World War I. Viva L'Italia! 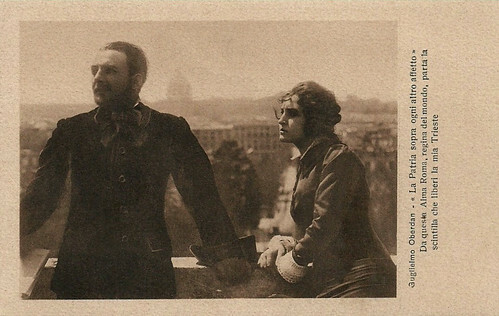 Italian postcard for Guglielmo Oberdan, il martire di Trieste (Emilio Ghione, 1915) with Alberto Collo as Gugliemo Oberdan and Vittorina Moneta as his fiancee Maria. Caption: "The Fatherland above all other affections. From this wet nurse Rome, queen of the world, the spark will part that will free my Trieste." 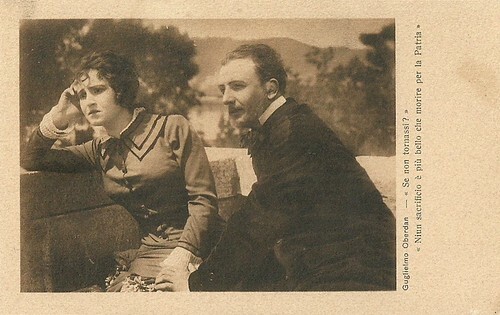 Italian postcard for Guglielmo Oberdan, il martire di Trieste (Emilio Ghione, 1915) with Alberto Collo and Vittorina Moneta. Caption: And if you don't return? There is no nicer sacrifice than dying for the fatherland. 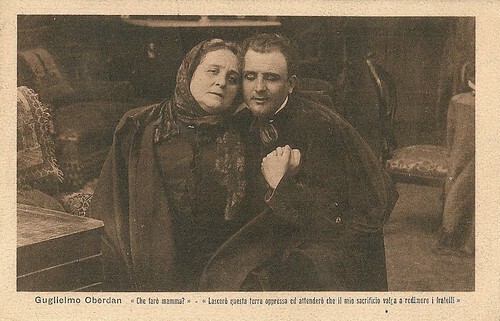 Italian postcard for Guglielmo Oberdan, il martire di Trieste (Emilio Ghione, 1915), with Alberto Collo as Oberdan and famous stage actress Ida Carloni Talli as his mother. Caption: "What shall I do, mamma? I will leave this oppressed land and will take care my sacrifice will be worthwhile to redeem my brothers and sisters." 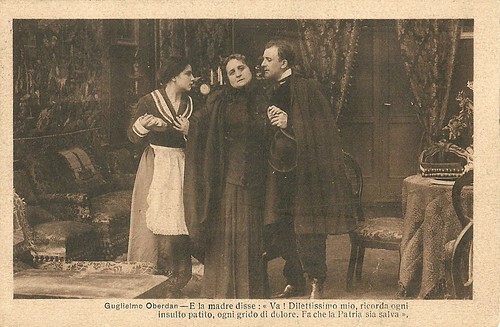 Italian postcard for Guglielmo Oberdan, il martire di Trieste (Emilio Ghione, 1915), with Alberto Collo as Oberdan and Ida Carloni Talli as his mother. Caption: "And his mother said: 'Go! My most beloved one, remember every suffered insult, every cry of grief. Make sure that the Fatherland will be saved'." During the First World War, more postcards were mailed than ever before - or ever after. Different European countries decided to use the postcard to advertise films and to create film stars. Governments used the cinema as part of their propaganda machines. Italian producers chose the martyrs of the Italian liberation, like Guglielmo Oberdan, for their patriotic films to justify Italy's participation in the Great War. Wilhelm Oberdan was born in the city of Trieste, then part of the Austrian Empire. His mother was a Slovene woman from Šempas in the County of Gorizia and Gradisca, while his father, Valentino Falcier, was a Venetian soldier in the Austrian army. He did not recognize his son, so Wilhelm took his mother's surname. He was educated in an Italian cultural milieu and Italianised his name to Guglielmo Oberdan. In 1877 he enrolled at the Vienna's College of Technology (now Vienna University of Technology) where he studied engineering. As he supported the idea of independence for all of the empire's national groups he resented the occupation of Bosnia-Herzegovina by Austria-Hungary and therefore deserted from the Austro-Hungarian Army because he did not want to take part in military activities there. Oberdan and Istrian pharmacist Donato Ragosa plotted an assassination attempt on the Emperor. However, their attempt failed. Oberdan was arrested and sentenced to hang by an Austrian court. His mother, author Victor Hugo and poet Giosue Carducci appealed for clemency - but in vain. Just before the execution, Oberdan cried "Viva l'Italia!" (Long live Italy! ), which helped establish his later reputation as a martyr of the Italian National cause. Statues of him were erected throughout unified Italy. The Emperor Franz Joseph, who reigned another thirty-five years, never visited Trieste again. 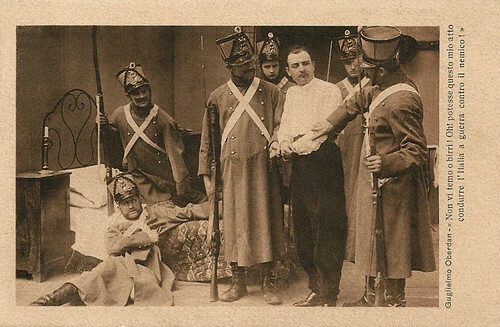 The assassination of Archduke Franz Ferdinand in 1914, harked back to Oberdan's earlier attempt. Tiber Films produced Guglielmo Oberdan, il martire di Trieste in 1915. 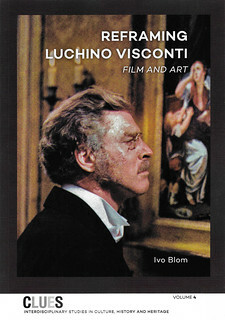 Director of this film adaptation of Oberdan's life was Emilio Ghione, who also played the role of the governor of Trieste. 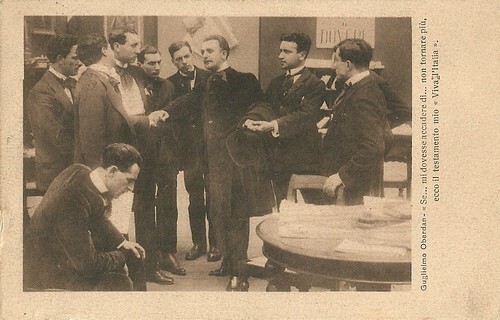 Ghione met the irredentist Gabriele D'Annunzio at an invitational showing of the film in Rome and Ghione's inter-titles were praised by D'Annunzio. Guglielmo Oberdan, il martire di Trieste was just one of a number of irredentist films produced in Italy during World War One. In our coming film special next week, EFSP will feature another example of these patriotic films. 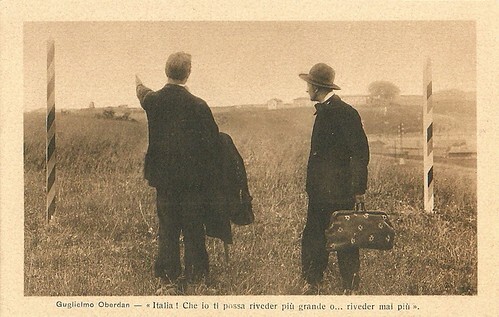 Italian postcard for Guglielmo Oberdan, il martire di Trieste (Emilio Ghione 1915), with Alberto Collo as Oberdan. 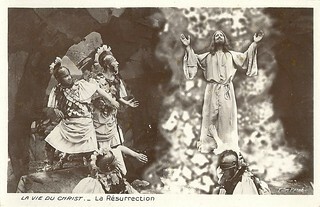 Caption: "If it would happen... that I would not return ... here is my testament: Viva L'Italia!" Italian postcard for Guglielmo Oberdan, il martire di Trieste (Emilio Ghione, 1915) with Alberto Collo as Guglielmo Obedan. Caption: Italy! May I see you again having grown bigger... or never see you again. 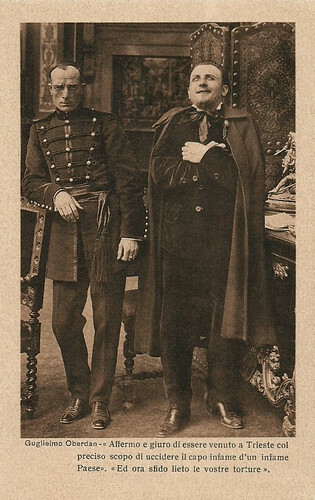 Italian postcard for Guglielmo Oberdan, il martire di Trieste (Emilio Ghione, 1915) with Alberto Collo as Guglielmo Obedan. Caption: "I don't fear you, you cops. If only my act could cause Italy to start war with the enemy." Italian postcard for Guglielmo Oberdan, il martire di Trieste (Emilio Ghione 1915), with Alberto Collo (right) as Guglielmo Oberdan (right) and Emilio Ghione (left) as the governor of Trieste. Caption: "I admit and I swear to have come to Trieste with the exact scope of killing the infamous head of an infamous state. And now I happily challenge your tortures." 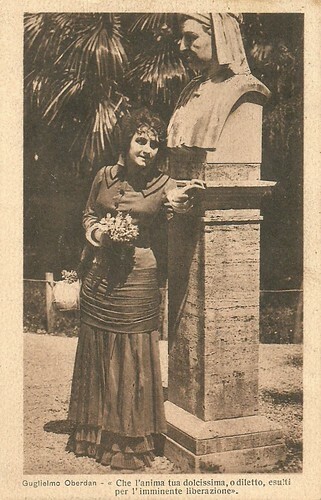 Italian postcard for Guglielmo Oberdan, il martire di Trieste (Emilio Ghione 1915), with Vittorina Moneta as Oberdan's fiancee Maria. 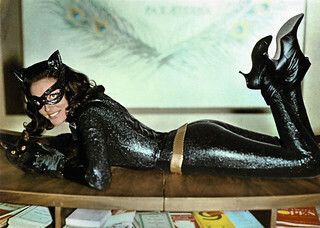 Caption: "Let your sweet, delightful soul exult for the imminent liberation."